Bryan Singer, the guy who made the two good X-Men movies, is returning to the franchise to make X-Men: First Class. Singer left the franchise after the second movie, going on to direct the less-than-awesome Superman Returns, leaving X-Men: Last Stand in the hands of Brett Ratner. First Class is still in the very early stages of development, but will focus on the first meeting between Xavier and Magneto and the creation of the Xavier Institute. The script is currently being re-written by Jaime Moss, who worked on the Keanu Reeves movie Street Kings. The question in my mind however, is who this first class will be. 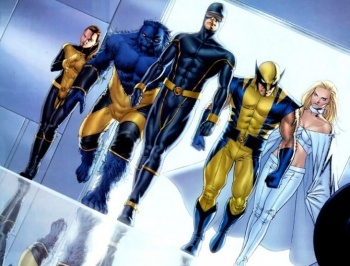 The original comic line up isn't going to happen as Iceman is too young, and they didn't meet Angel until the third movie. Will it be Storm, or some new character we have yet to see?